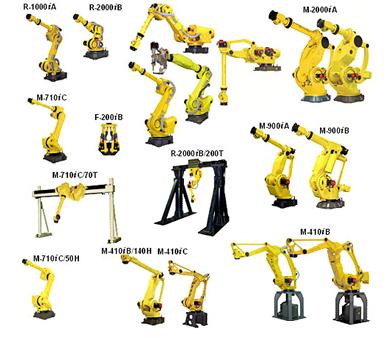 FANUC Robot i Series is a series of highly reliable intelligent robots with the user friendly R-30iB controller, featuring intelligence and networking functions for a wide range of versatile applications. A large variety of robots are available featuring payloads from 500g to 1.35 tons. These robots can be used in a broad field of applications including Arc Welding, Spot Welding, Assembly, Machine loading, Palletising, Materials Handling, etc. All robots can be fitted with a 2D or 3D Vision system, which can vastly improve your application. FANUC Robotics Logo is a registered trademark of CreditorWatch PTY LTD.